Unties and Cherrymochi have announced TOKYO DARK -Remembrance-, a mystery adventure game for Nintendo Switch. TOKYO DARK -Remembrance- is a Director’s Cut of fan-favorite PC mystery adventure TOKYO DARK, featuring all-new story chapters. The original version of the mystery adventure game TOKYO DARK was released on Steam in September 2017. Its unique story and artwork, a hallmark of developer Cherrymochi’s style, won the hearts of countless fans both within and beyond Japan. TOKYO DARK -Remembrance- completes the mysteries left by the original, bringing a Director’s Cut of this masterpiece to Nintendo Switch™ and PlayStation®4 this winter. As protagonist Detective Itō, you will explore Tokyo searching for your missing partner. Can you bring light to the dark horrors lying beneath this metropolis? Will you lose your mind doing so… or worse? 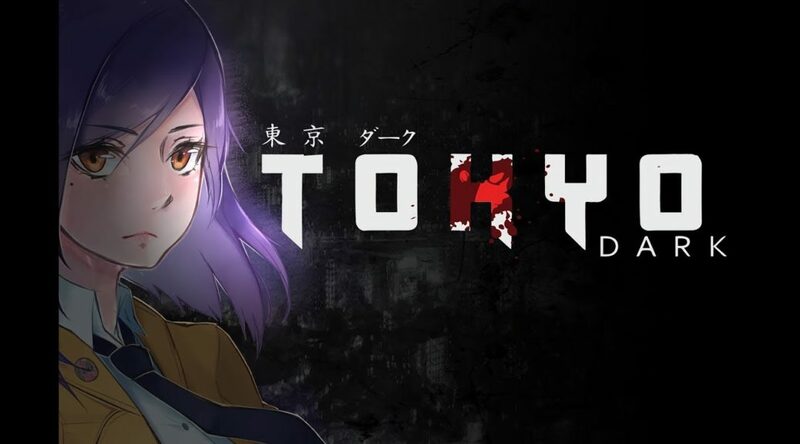 Tokyo Dark is an anime-style horror adventure game. The story follows Detective Itō across Tokyo, searching for the truth behind her partner’s strange disappearance. Featuring puzzles, stat management, and difficult decisions, Tokyo Dark puts the narrative in the hands of the player. Players’ decisions change Itō’s character, opening or locking options and leading to more than 10 different endings, including new ones added in this special edition. In January 2015 Tokyo Dark was submitted to the Square Enix Collective where it achieved an incredible 94% rating by the Collective members and was later Greenlit on Steam. Following that, the game had a successful Kickstarter campaign in summer 2015, and it was later announced it would be published by the Square Enix Collective. Tokyo Dark released for PC on Steam 7 September 2017. Branching story with more than 10 different endings (including a New Game+ exclusive ending). Difficult decisions – every action affects Detective Itō’s attributes and options. Beautiful anime-style character art, with locations inspired by real locations in Tokyo. Original soundtrack by Reign of Fury frontman Matt ‘Bison’ Steed. Animated sequences produced by Graphinica, a world-class animation studio. Localization by Japanese novelist Ureshino Kimi. The S.P.I.N (Sanity, Professionalism, Investigation, Neurosis) system keeps track of every decision you make, changing how other characters react and the actions available to you.